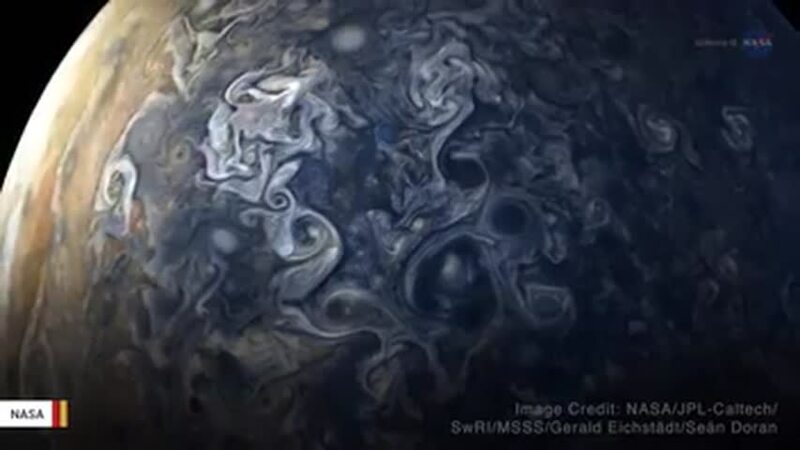 Giant, continent-sized storms were observed by NASA’s Juno spacecraft. “Thanks to the amazing increase in accuracy brought by Juno’s gravity data, we have essentially solved the issue of how Jupiter rotates: The zones and belts that we see in the atmosphere rotating at different speeds extend to about 1,900 miles (3,000 km),” Tristan Guillot, of the University of Côte d’Azur in France, said in that statement, according to LiveScience. One photograph of the planet was taken 7,659 miles above the surface in the northern hemisphere, the Express reported.